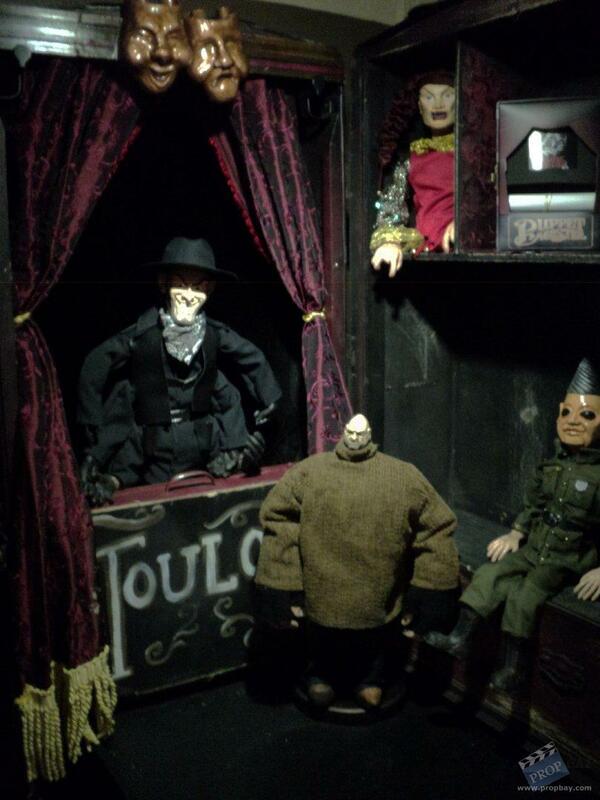 This is an original Andre Toulon trunk from Puppet Mater 9: Axis of Evil. There were 3 trunks customized by Gage "Munster" Hubbard for the movie. This one is not the primary, screen-matched trunk. 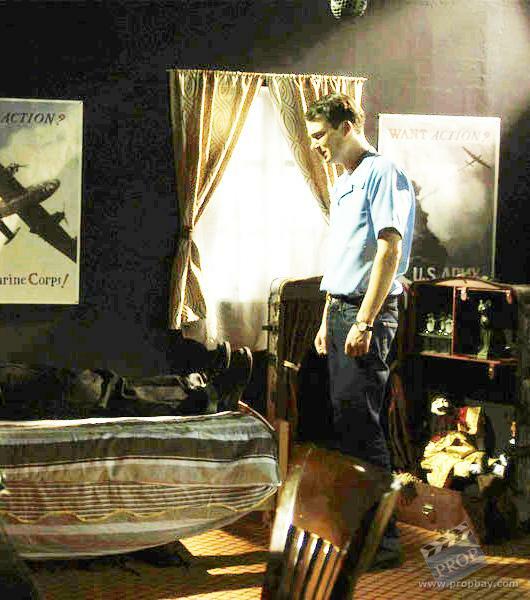 The trunks were auctioned off by Charles Band in 2009 during his Full Moon Horror Roadshow. 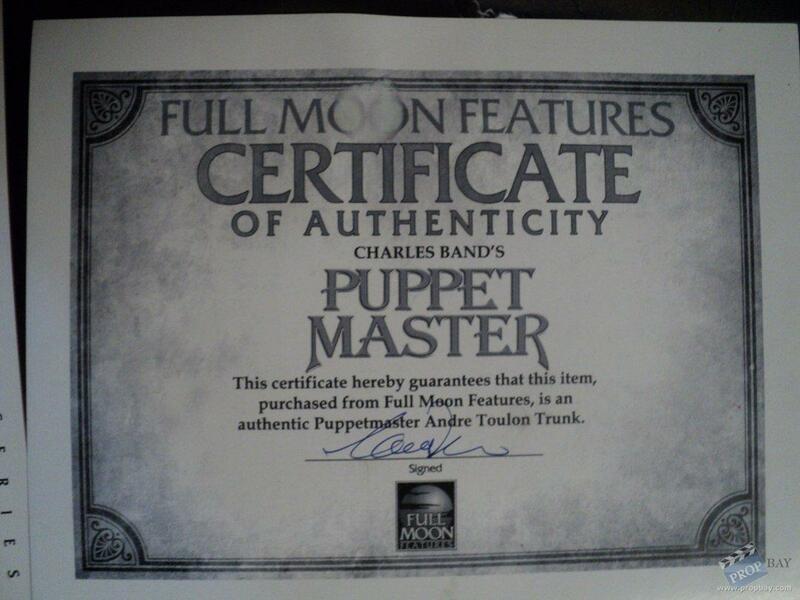 It comes with a COA from Charles Band and Full Moon Pictures. The trunk is approximately 40" tall and 45" wide when opened to its fullest length. 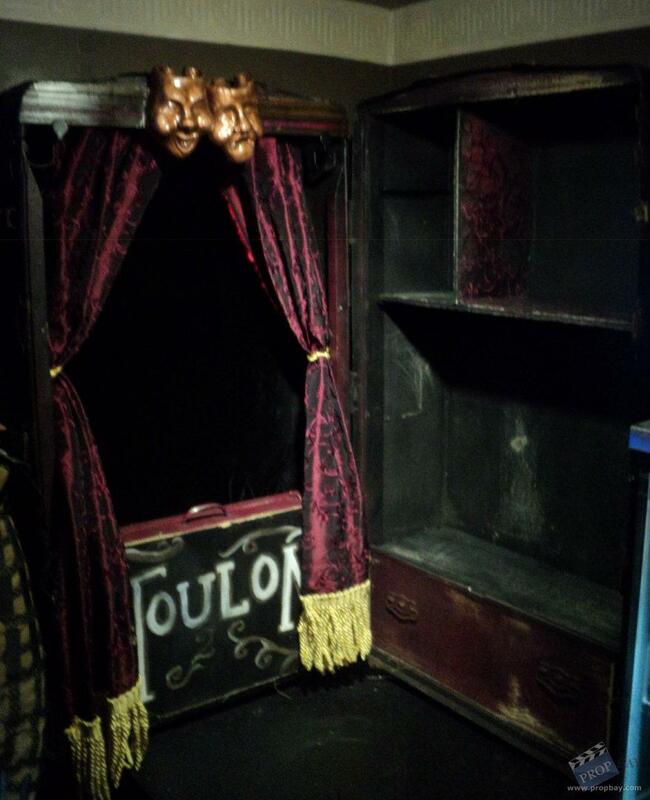 It has a removable front compartment (where it says Toulon), and removable Tragedy and Comedy masks. Added: 07-01-2014 - Viewed: 1719 times.